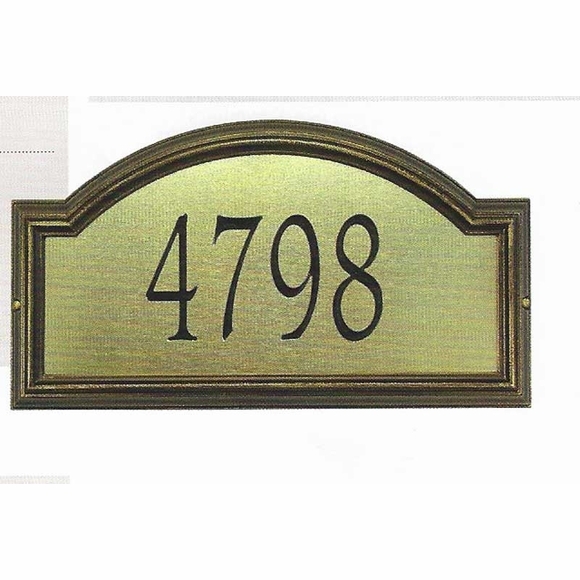 Large Arch Shape Address Number Sign, Wall Mount or Lawn Mount -- features a dimensional two-tone picture frame border and tall 5.5" numbers. Made in USA. Holds five (5) large 5.5" black numbers for improved visibility. Two color combinations: brass & bronze with black numbers (shown above) and silver & pewter with black numbers. Dimensions: 22.5"W x 12"H x 1.25"D.